underground,” House Subcommittee on Energy and Environment chairman Henry Waxman (D-Calif.) stated as he opened the hearing. As regulatory efforts to cap and reduce carbon dioxide and greenhouse gas emissions have spread in the form of state Renewable Power Standards, power company executives are increasingly calling for clear, consistent regulatory rules and guidelines at the national level. “States, energy companies, and particularly the investment community have all begun to understand this new reality. With EPA regulation of carbon pollution imminent, new coal facilities are facing longer delays and more cancellations,” Waxman said. David Crane, CEO of NRG Energy, which owns and operates power plants with capacity totaling 24,000-MW stretching from Massachusetts to Florida and west to California, explained that of this total about 7000-MW comes from burning coal, 1100-MW from nuclear fission and the remainder from either natural gas, oil or, more recently, wind. NRG is an electricity generator and wholesaler–it has no retail customers or rate-base “to absorb extra risks and costs and so we are extra aggressive in reducing risks and costs,” he added. NRG’s been working hard to reduce its emissions, Crane noted. Last month, it commissioned a 270-MW wind farm and has agreed to develop 500-MW of solar thermal projects in California and New Mexico. It also recently reached project performance milestones at its 2700MW new nuclear project in Texas. Taken together these “zero carbon emissions” sources will add up to one-half the capacity of the company’s existing coal plants, Crane noted. NRG has plowed more than $10 billion of new investment into its “decarbonization” drive, efforts which have started to create good jobs– a figure that could eventually grow to include as many as 9,000 jobs spanning construction, engineering and plant operations. Capturing carbon dioxide and other noxious gases at coal-fired power plants, either pre- or post-combustion, and storing it in suitable geologic formations underground has been widely touted by coal and oil and gas industry executives for many years now. The problem is that to this point the technical difficulties and major capital outlays have proved insurmountable. NRG itself pulled the plug on two such efforts, one in which it worked with CCS technology provider Powerspan Corp. whose CEO also made a presentation at the hearing. Nonetheless, “I believe these technologies hold great promise. The individual components of carbon capture and storage, or CCS technologies, are well-understood, and in many cases have been used in industrial settings for years,” Waxman said in his opening statement. 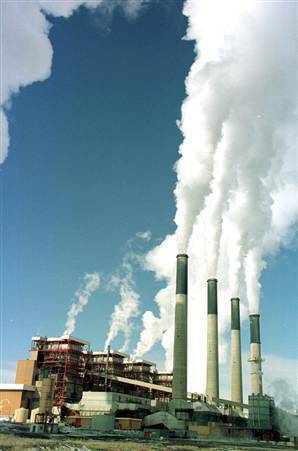 Government and regulatory rules need to be clear and certain in order for power generators and energy companies to make the types of calculations and assessments of risk/return, as well as raise and invest capital on a long-term basis, that developing and implementing CCS-enabled coal fired power plants requires, Crane pointed out. NRG is an active member of the United States Climate Action Partnership and has been deeply involved in developing its Blueprint for Legislative Action. “We strongly believe that it offers a real, effective and pragmatic approach to the key climate issues. In particular, we believe a well-designed ‘cap and invest’ program with transitional ‘no windfall’ allocations is needed to ensure that companies like ours can quickly make massive investments in these costly and challenging new technologies– and that such investment is essential to protecting the climate and our economy,” Crane stated. • Provide additional incentives to repower existing coal plants – especially the most inefficient and heavy emitting ones – with much lower carbon alternatives. “Like many in the business community, NRG wants to do the right thing for the climate and for the economy. We know coal is part of the problem, and we understand that it also has to be part of the solution. The measures we’ve discussed, as part of a comprehensive climate bill consistent with the USCAP Blueprint, offer a clear path to achieving this important goal in an environmentally effective and economically responsible manner,” Crane stated.